Burdwan University will be publishing official notification for eligible candidates for admission to the Two Year M.P.Ed. Course of Studies for the session 2018-2020, from the candidates having Regular B.P.Ed./ B.P.E. Degree with at least 50% marks in [NCTE approved]. No candidate passed through distance mode or from Open University will be allowed to apply. Candidates will be able to fill their Application Form online through the official website. 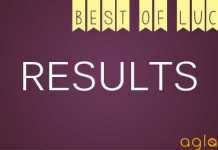 Candidates can check the complete information of Burdwan University MPEd Admission 2017 like application filling process, eligibility criteria, reservation policy etc through this page below. A relaxation of certain marks will be given for SC, ST & Sports Personnel candidates. Reservation will be as per NCTE rules. Candidates are advised to follow the information sheet for details. Schedule for the Burdwan University MPEd Admission 2017 is given below. Candidates with minimum 50% marks at Regular B.P.Ed. Or B.P.E. Relaxation of 5% of Marks for S.C., S.T., D.A, Sports Categories. No candidate passed through distance mode or from Open University will be allowed to apply. 22% & 6% of total seats shall be kept reserved for SC & ST candidates respectively and D.A. candidates will enjoy a 3% reservation in each of the categories, i.e. in SC, ST and in the Unreserved or UR category. NOTE: The eligibility criteria is as per what was set by the conducting body in 2017. It may change or may not be changed. The conducting body shall hold the right to change it as per their wish and No questions regarding the same can be asked. Duly filled-in application form along with self attested photocopies of mark-sheets of all the public examinations passed including age-certificate will have to be submitted within a stipulated time (excepting Saturdays, Sundays and University Holidays). It shall be the responsibility of the candidates to ensure that they submit the same through safe means. Candidates may have to pay a certain amount which will have to be attached along with other documents while submitting the filled-in form either personally or through a representative to the office mentioned above.Two passport size recent photographs (self-attested) are to be pasted in the spaces provided in the Application Form. The application form is the first step that the aspirants will have to fulfill to proceed further. The notification regarding the same will be uploaded on the official website and candidates can follow our page to keep themselves updated. Candidates selected in the First List will be required to take admission to the course within a stipulated time on production of original copies of their credentials on submission of requisite fees. The amount of fee will be decided by the conducting body. Hostel accommodation to the candidates will be provided as per availability. Seats lying vacant if any, after the admission of first listed candidates as well as due to lack of 50% attendance in first 10 Working Days, will be filled up from the remaining candidates and further notification will be issued to that effect later on. 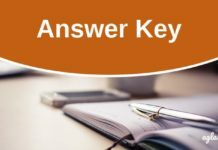 The University also reserves right to drop or include any name if any suppression of facts on the part of the applicants or any mistake in the calculation of grade point is detected at any stage before and after admission. Insofar, official details of University of Burdwan Admission 2018 have not been announced. Information on this page is as per last year brochure and for reference purpose only. 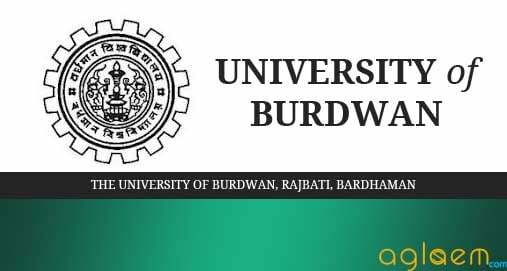 As soon as University of Burdwan releases New University of Burdwan 2018 information brochure, details will be updated here.